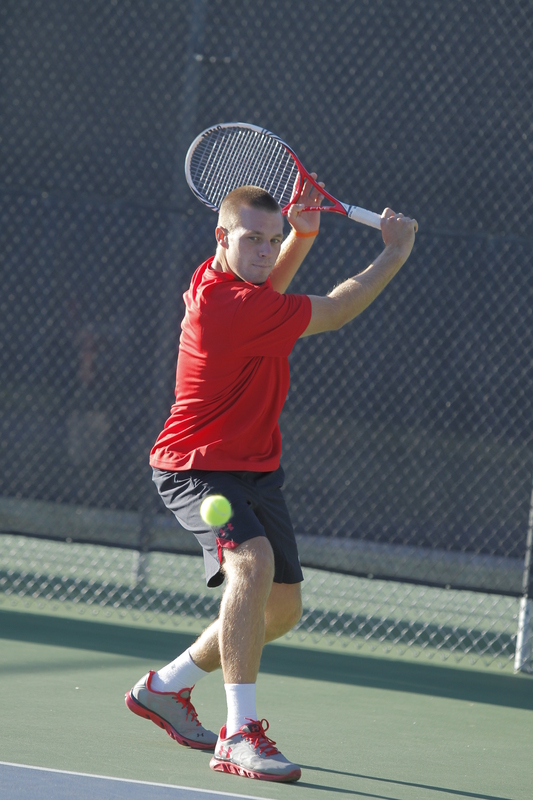 The University of Utah men’s tennis team (15-9, 3-6) announced their team awards Thursday at the annual team banquet. The awards include Most Inspirational Player, Most Improved Player, and Most Valuable Player and are voted for by the players. This year’s Most Valuable Player award goes to Senior Devin Lane. Lane, a native of Salt Lake City, attended Highland High School before playing for the University of Utah. He started in the No. 2 – No. 6 singles positions during his career with the Utes and was a 4-year starter in doubles as well. Lane anchored the No. 5 singles position for Utah during his Senior year, compiling a team best 16-6 (13-4 dual) record. Lane secured victories over then ranked No. 70 BYU, No. 67 New Mexico, No. 52 Denver, No. 44 Nebraska and No. 27 Oregon in singles play. In Doubles, Devin recorded a 12-7 record with Ben Tasevac while winning one match with David Papis-Elon and Justin Archer. Redshirt Sophomore Justin Archer is Utah’s Most Inspirational Player for the 2013/14 season. Archer hails from Austin, Texas, where he attended Lake Travis High School. After redshirting during the 2012/13 season, Archer has played and practiced for the Utes with immense passion, always motivating his teammates to improve. Justin mainly held the No. 7 position on the team this year. He appeared in two matches, claiming a singles victory over Seattle and a doubles win against DePaul. Archer is planning to major in Exercise and Sports Science. Sophomore Matt Cowley has been named the team’s Most Improved Player. Cowley returned to the Utes this season after serving a 2-year LDS Mission in the Dominican Republic. This past season, Cowley primarily played at the No. 6 singles position and doubles with Alejandro Medinilla at the No. 3 position. He hails from Bountiful Utah and he attended Woods Cross High School. Cowley compiled 13 wins while only suffering 6 losses in singles play. 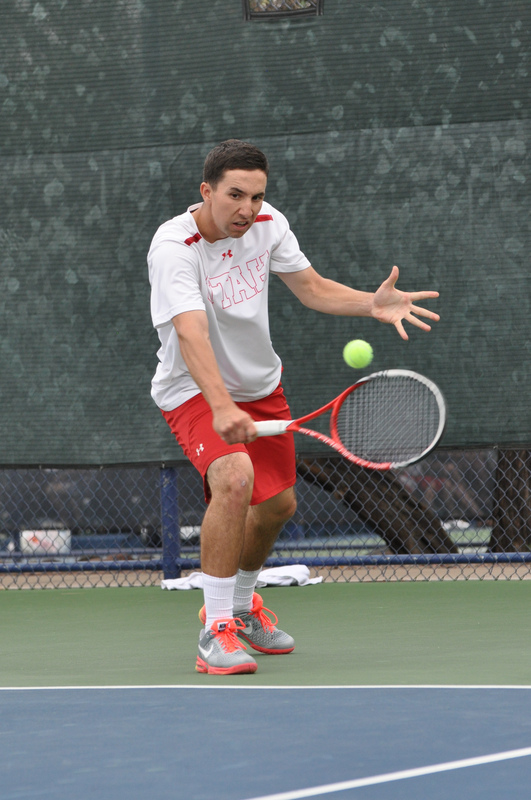 Alejandro Medinilla teamed up with Cowley to compile a record of 11-10 in doubles. 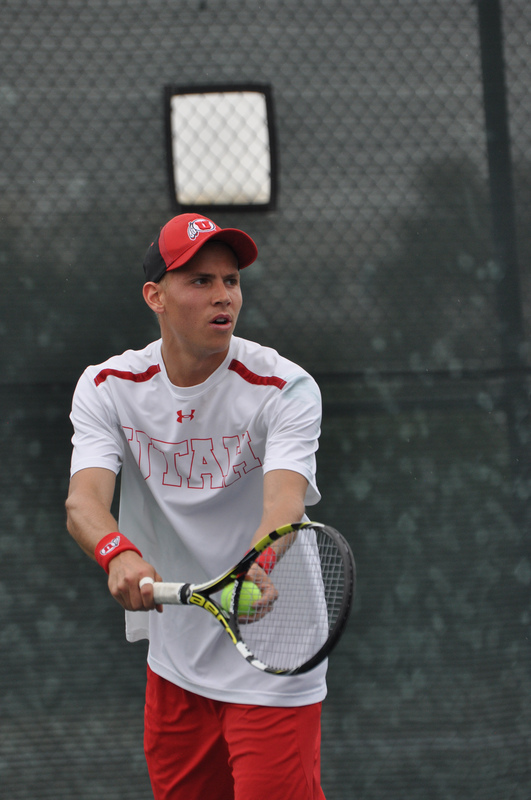 He won crucial matches for the Utes this season, including a match clinching win over then ranked No. 27 Oregon. The Most Academic Award will be named later this summer and will be awarded to the student-athlete with the highest combined GPA over the 2013/2014 school year. This entry was posted in Awards and tagged Awards, Ben Tasevac, Devin Lane, Matt Cowley, Utah Utes. Bookmark the permalink.